ITAHARI, July 19: When Saptakoshi floods wreaked havoc in 1966, the then government relocated the victims of Baharahkshetra to a forest area. Since 1966, massive Saptakoshi floods have been recorded 13 times. In 1984, the government decided to provide one and half katha of land to each of the 18 flood victim families. Later that year, 84 such families were also promised eight dhur of land. However, in 1987, the government stated that any flood-victim family would receive one katta of land at the maximum. As per the data of the forest department, flood victims now occupy 1,111 hectars of land that belonged to the forest. 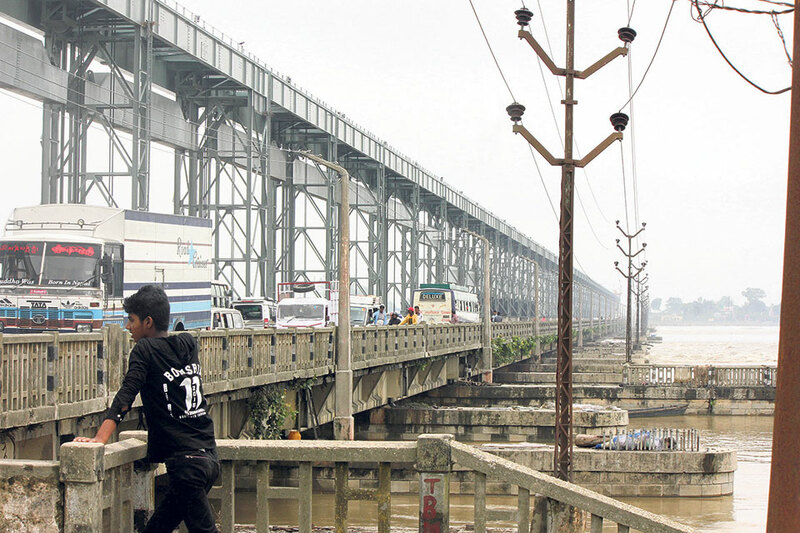 A decade ago, when the eastern dam of the river collapsed, floods wreaked havoc in Haripur, Sripur, Pashchimkushaha and Laukahi, among other areas. The government decided to provide Rs 1.60 billion relief package to the flood victims. Some of these victims, claim that they are yet to receive the full package and are urging authorities to avail it. And there are some who claim that they haven’t received anything of it so far. “Even though the government promised to give us this and that, many like us, have not received anything,” notes Mohammad Wasri Mansuri of Koshi Rural Municipality-4. While stating that some of the flood victims might have received the package, urged the government to deliver its promise by availing the relief package it pledged. This time, floods had displaced 7,563 families. To minimize loss, the course has been corrected after three months of consistent attempts by the authorities concerned. “T he course of the river has been corrected. However, such a move alone cannot ensure safety of the residents living near the river. The river can wreak havoc again, anytime,” Mansuri said. “We feel quite alarmed,” he added. Mansuri shared that the onset of monsoon triggers panic in the residents every year. “You never know when Saptakoshi River will get fierce. If it rages, it can do anything,” he said adding that the loss they have bore is unimaginable. “We feel very threatened when the month of Asar arrives. Monsoon feels like the call of death. When it rains, we don’t sleep in fear,” Mansuri said while sharing his family’s concern. Locals feel that human cannot control the river when its water level rises. But assert that the government should take preventive measures before hand. Along with Nepal, the floods also affect Indian villages. In the past, huge swaths of land on the Indian sides were inundated by Saptakoshi River, resulting in massive losses of life and property. They accused the government of not making full preparations to avert floods from entering human settlements and controlling the floods. 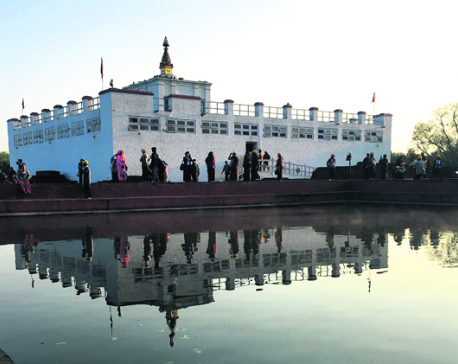 “Because of the careless attitude of our government, we panic whenever we hear that the Indian government is planning to build a dam to control the Saptkoshi River,” Mansuri said. “Actually, we don’t have confidence in our government’s ability to take a strong stand, to negotiate and to ensure that country benefits while entering an agreement with India for building the Saptkoshi High dam. If our own government is not capable of securing our own interest, why would the Indian government care about us?” Mansuri asserted. The seven tributaries of Saptakoshi are Sunkoshi, Tamor, Arun, Indrawati, Dudhkoshi, Tamakoshi and Likhu. Of these, Sunkoshi, Arun and Tamor are the major rivers. Political analyst, Dambar Khatiwada, dismissed the criticism around the project while stressing the need to understand specifications of the dam before criticizing or supporting it. “We have been hearing about the proposed construction of a high dam in Saptakoshi for a long time now. However, I find no meaning in criticizing or supporting it. What matters are the detailed components of the project like the point of river diversion, construction of canals among others,” he said. “If the dam is going to be constructed as is reported in the media, it is going to be silly. I do not think our and Indian government would do that. What matter are major issues like how much irrigation facility our farmers will get, how much power will be generated and how much of it we will get, along with technical, social and environmental aspect of the project,” Khatiwada noted. A local of Prakashpur, Rabin Ghimire shares the same view. He states that a dam in itself should not attract criticism. “We are not for a risky dam. If it has to be constructed, it must be constructed on the basis of in-depth study and fair consideration,” he said. Saptakoshi Janaadhikar Manch, a forum formed to alert and aware locals of floods and dam issues stated that the controversy surrounding the construction of the dam has been impeding the project. The forum has stated that it will not support the project. “If it is built, Sunsari, Udayapur, Dhankuta, Panchthar, Tehrathum, Okhaldunga and Sankuwasabha, among several other areas are going to be affected. Thousands and thousands of people will be displaced. If they are resettled in the tarai area, their social, political, cultural, economic life will be severely affected,” he Ghimire remarked.